Do you believe the court appointed guardian is improperly taking care of your loved one? Are their assets are being abused or misused? Is the Guardian acting in their best interest? Are you concerned for your loved one’s safety and health? Are you afraid their assets are being wasted? If there is a problem, it may be time to consider trying to remove the court appointed guardian and becoming the guardian of your loved one. Fraud in obtaining her or his appointment. Failure to discharge her or his duties. Abuse of her or his powers. An incapacity or illness, including substance abuse, which renders the guardian incapable of discharging her or his duties. Failure to comply with any order of the court. Failure to return schedules of property sold or accounts of sales of property or to produce and exhibit the ward’s assets when so required. The wasting, embezzlement, or other mismanagement of the ward’s property. Failure to give bond or security for any purpose when required by the court or failure to file with the annual guardianship plan the evidence required by s. 744.351 that the sureties on her or his bond are alive and solvent. Appointment of a receiver, trustee in bankruptcy, or liquidator for any corporate guardian. Development of a conflict of interest between the ward and the guardian. Having been found guilty of, regardless of adjudication, or entered a plea of nolo contendere or guilty to, any offense prohibited under s. 435.04 or similar statute of another jurisdiction. A material failure to comply with the guardianship report by the guardian. A failure to comply with the rules for timely filing the initial and annual guardianship reports. A failure to fulfill the guardianship education requirements. The improper management of the ward’s assets. A material change in the ward’s financial circumstances such that the guardian is no longer qualified to manage the finances of the ward, or the previous degree of management is no longer required. After appointment, the guardian becomes a disqualified person as set forth in s. 744.309(3). Upon a showing by a person who did not receive notice of the petition for adjudication of incapacity, when such notice is required, or who is related to the ward within the relationships specified for nonresident relatives in SS. 744.309(2) and 744.312(2) and who has not previously been rejected by the court as a guardian that the current guardian is not a family member and subsection (20) applies. Upon a showing that removal of the current guardian is in the best interest of the ward. In determining whether a guardian who is related by blood or marriage to the ward is to be removed, there shall be a rebuttable presumption that the guardian is acting in the best interests of the ward. A bad faith failure to submit guardianship records during the audit pursuant to s. 744.368. In order to serve as the guardian you must be a Florida resident over 18 years of age OR be a nonresident who is a blood relative, an adopted child or parent, a spouse, brother, sister, uncle, aunt, niece, nephew, or the spouse of a qualified person. Florida Statute 744.309. 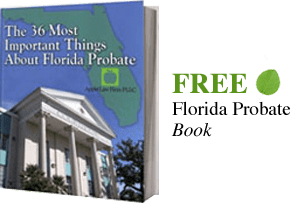 If you are thinking of filing a Petition to Remove Guardian and becoming the guardian of your loved one, you can only do so while represented by an attorney in Florida. The attorneys at the Law Office of David M. Goldman, PLLC can help you determine whether a Petition for Removal of Guardian or Petition for Court Monitor is in the best interest of your loved one. Call today for a free initial consultation (904) 685-1200.